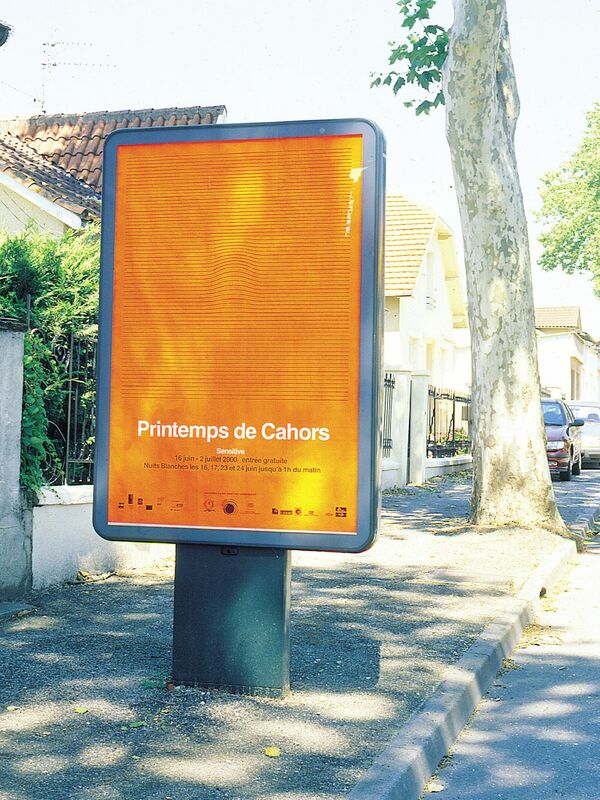 For the Printemps de Cahors, a contemporary art festival set in this ancient french city, Christine Macel, the curator, gave us the theme and title of the edition: Sensitive. 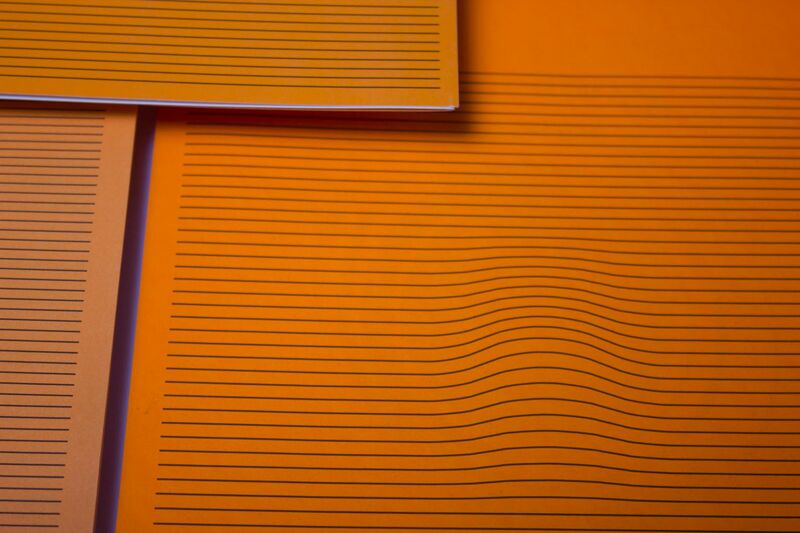 Based on this we lightly deformed our line pattern with a discreet bump, as if a thumb had pushed through. 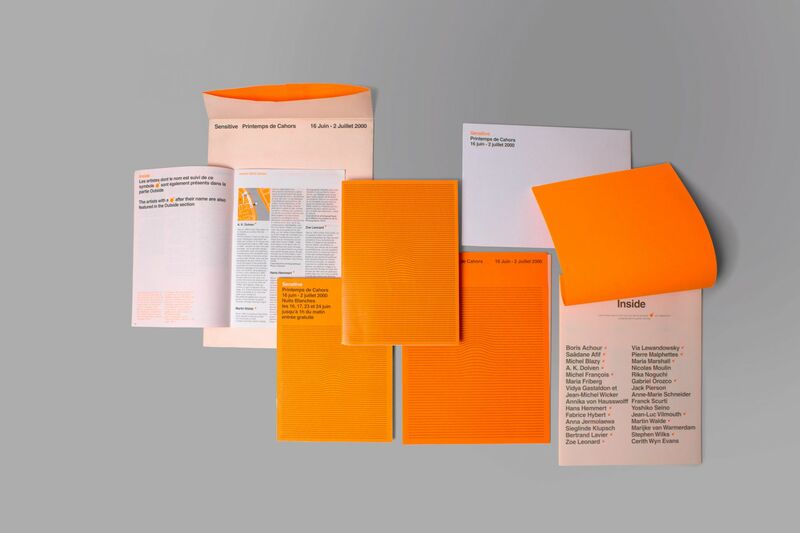 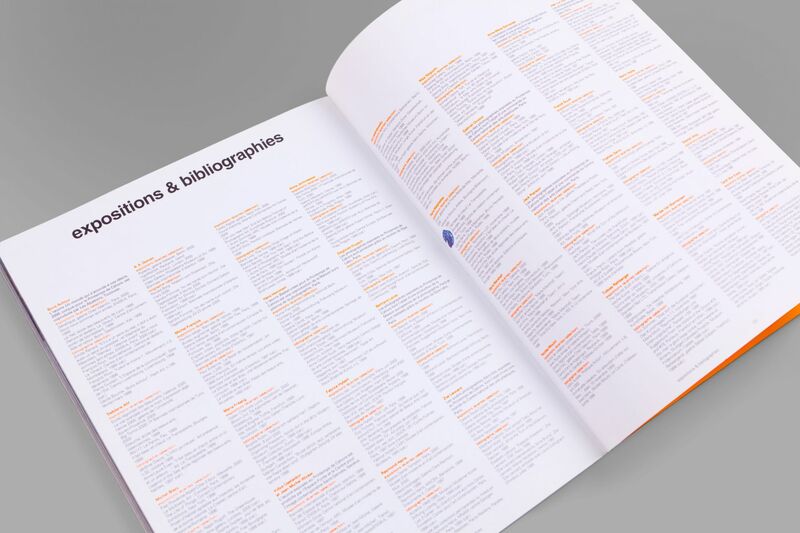 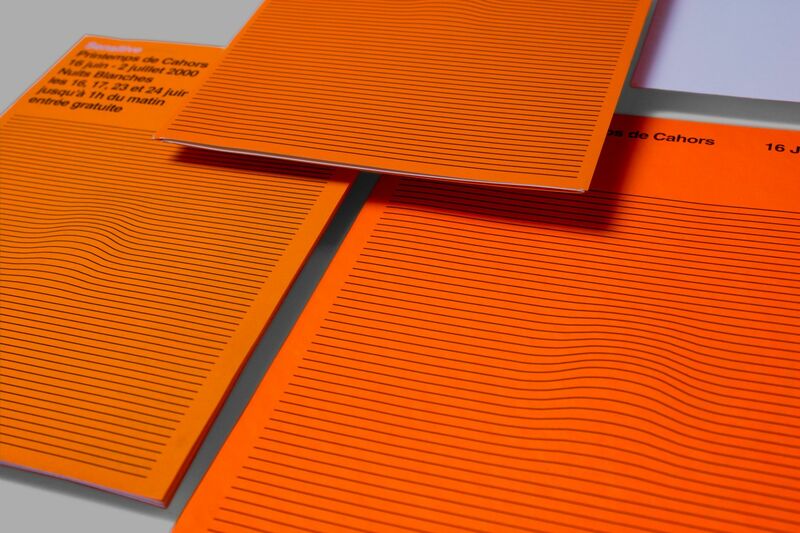 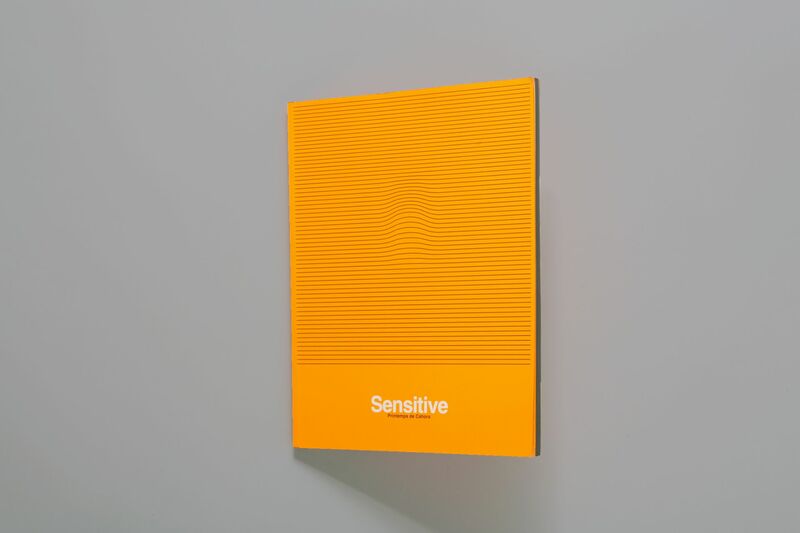 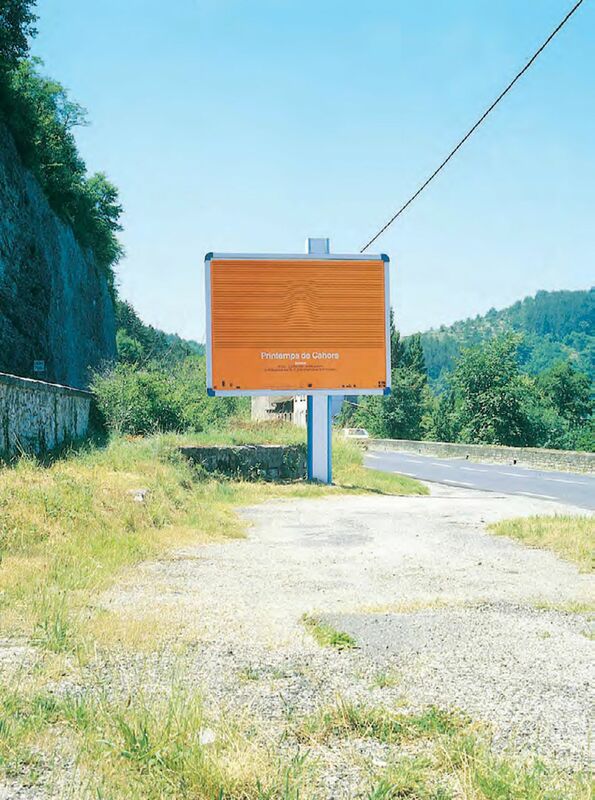 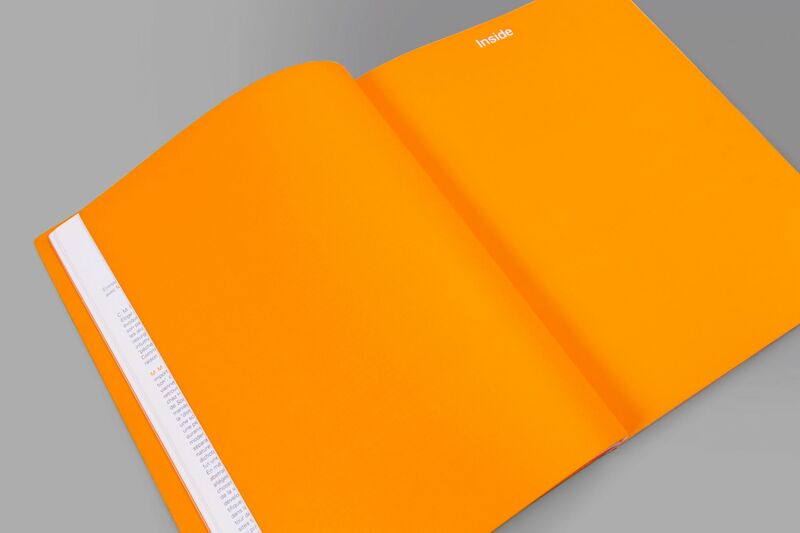 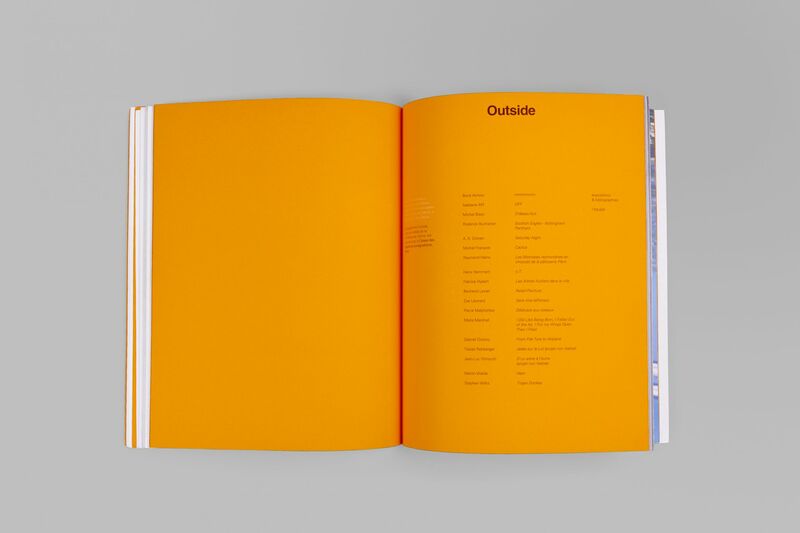 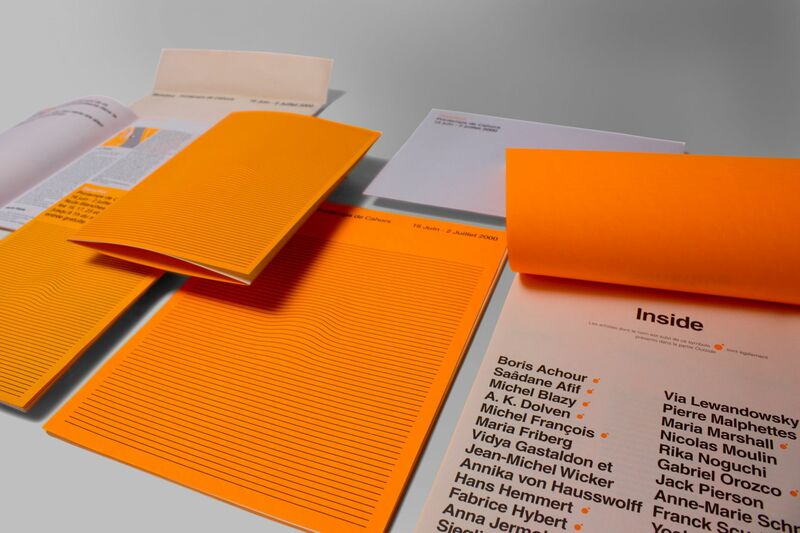 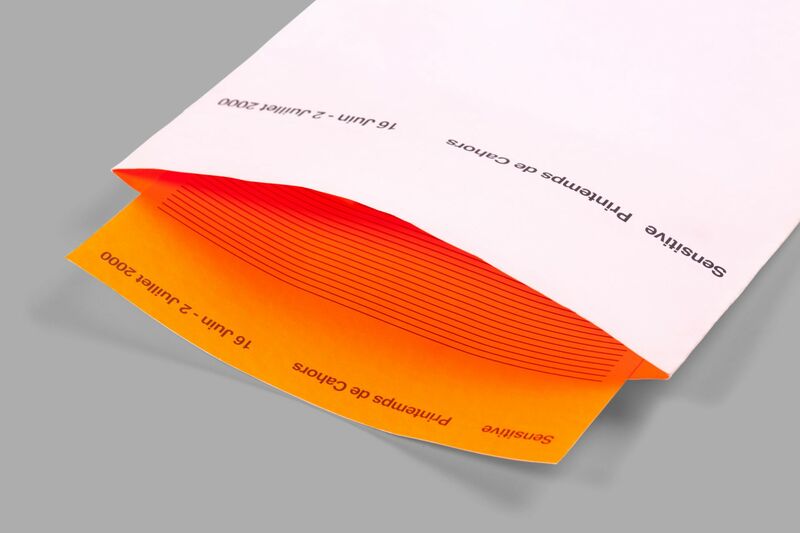 All the communication was printed on fluorescent orange paper, suddenly giving a kick of color to the streets.